Are you thinking that this creature is absolutely beautiful and you cannot wait to go to Seaworld to watch yourself...or are you thinking it's tragic that they are doing this in captivity in a tiny place to swim around? If you've ever watch the Cove, I know the answer you chose. If you haven't - I highly suggest you watch it! 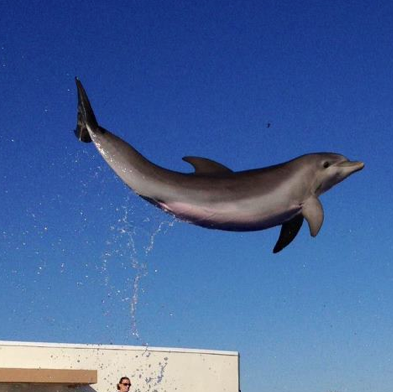 A place close to me named Marineland posted this above photo a couple of days ago. The photo was getting so much attention - near 200 "likes." Someone posted something that had to do with the beautiful creature being in captivity and likely being sad and upset for not being able to do this in the ocean. Would you believe that Marineland deleted the comment? First, what happened to freedom of speech? Second, was it because that was a true statement? Personally, I absolutely love dolphins. They are one of my favorite animals...so smart & beautiful. But their story - especially when captivity is involved - is a very sad story...a story that tears at my heart strings. They don't want to be in a confined space, but would rather be in the wild, loving life. When you add the story depicted in the Cove, it is absolutely heart-wrenching. I will end this by saying that at one time, we had season tickets to Seaworld...that time as passed. This makes me sad to think about! Dolphins are so pretty and so smart! I have swam with them before and I was amazed by their intelligence. I'm a big animal person so I agree with you on this one! 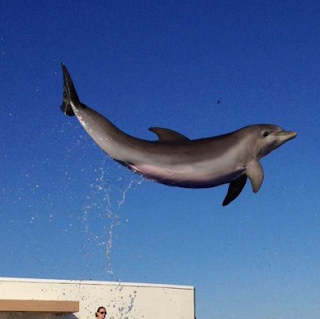 I think most dolphins are in confinement because they were injured and/or sick. The fact that they can receive healing is amazing to me. I know that is how most zoos work to be sure. So, it isn't always what we might think... The worse. Sometimes, it saves the life of God's creatures. Just another point of view. I love dolphins and went on a dolphin safari off of SoCal. We saw thousands in the wild. It was amazing! It does make me sad. They are amazingly sweet and smart...and always so happy. That's horrible they removed the comment. They obviously knew it was true. 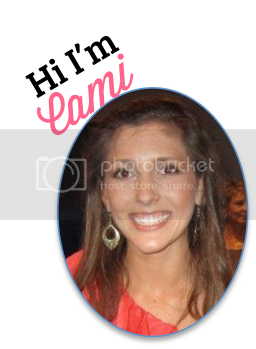 Thank you for sharing, Cami! Tons of love and wishing you a wonderful weekend! Thank you for stopping by :) I really appreciate it very much I am following you now. Living in CA near the water, just 2 days ago about 130 in the afternoon we went to the ocean and what we saw was so unimaginable dolphins were jumping out of the water and high, the sea lions weren't far behind....I agree it is soo sad to see them in captivity. But also know there may be another reason why they are in captivity. To Ms. Kathleen...I went on a whale watch a couple weeks back off Newport Beach seeing 5000+ dolphins was so amazing...we didn't see any whales but those dolphins were worth the trip. I hate seeing animals in captivity -that's why I never go to the zoo :( Dolphins are super sweet, intelligent creatures!